We have been reading and planning and saving for a root cellar for years now. This has been an important part of our long-range plan for food security. About a week ago, we finally broke ground on it and we are really looking forward to its completion. (The kids are most excited about the huge mounds of dirt and the presence of a Porta-Potty on our property!). In case you’ve never considered a root cellar, I thought I’d list some of the benefits. Being that this is a preparedness blog, you probably expect this has something to do with our penchant for storing up for uncertain times. And you would be right- that is part of it. We firmly believe that everyone should do what they can to set aside food during this time of comparatively cheap and plentiful food. Food prices may be steadily rising, but exorbitant prices could be lurking around the corner as the cost of oil goes up and weather anomalies wipe out crops. Wouldn’t it be nice to have a year round mini-supermarket in your backyard and the ability to store the food throughout the winter? In addition, with the exception of a few places, right now people are mostly allowed to produce much of their own food. Anything that is surplus can be put aside for the winter. Root cellars are stars at providing the right temperatures and humidity to preserve the life and nutrients of your fresh food. I’m glad I have pressure canning as a choice in “putting up” food for later, but my food will be most nutritious if not exposed to high heat and pressure. Raw food provides health benefits that cooked just can’t sometimes. Another reason why we are really looking forward to this root cellar is that we like to know what goes in the food we eat year-round. In order to do that, we either need to grow the food ourselves or do careful research to find out the growing methods used by the farmers. There are some things we have not yet been able to produce in bulk for ourselves yet. For example, we have planted an orchard several times now. Each time, our goats have gotten to the trees and stunted or killed them (bye-bye, goats!). Fortunately, we are members of a bulk food co-operative that often places fruit orders from low- or no-spray farms. Not many families can use a bushel of apples before they would go bad in the kitchen (nor do they have room in the fridge). A root cellar is the perfect place to store them and enjoy them over several months. 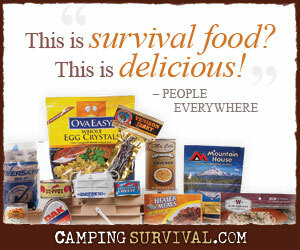 We have been working on our stockpiles of food, medicine, tools, etc for quite a few years now. While that gives us a sense of comfort, it is also quite literally crowding us. Under every bed and in every drawer and cabinet in this old house with little built-in storage, we have our “preps.” Some bookshelves have a row of things behind all the books. The “china cabinet” is stuffed with homemade soup, jam, and applesauce and is clearly visible to anyone who looked in the windows (not good OPSEC!). And with all those spaces filled, we are beginning to literally have stacks of things with nowhere to put them. We plan to transfer all the things that benefit from cooler temperatures and lack of light down to the root cellar. This will include buckets of Mylar-bagged wheat, boxes of vitamins, bins of OTCs, totes containing toothpaste and other hygiene items, and the home-canned food. Our last reason may not have occurred to you, but it is gaining in importance to us- security. We are planning our root cellar to be completely concealed when we are finished- no tell-tale earth mound or door in the side of a hill. It will be pretty large and if need be, we could use it to keep ourselves safe from ne’er-do-wells while at the same time, be able to defend most of our preps. When we began working with the contractors on our plan, we didn’t talk much about the food stockpile part and we let them believe that we are primarily concerned with tornadoes. This root cellar will be excellent for that purpose too. We will keep folding camp cots down there in case we ever need to spend the night (why do storms seem to always come just past bedtime?). In future installments, I will tell you more about the dimensions and building of the cellar and eventually, some alternatives for storing food in this manner if space or finances do not allow for the construction of your own cellar. I will also share some information about the books we found most helpful. We are very excited! The pictures and explanation of how you built yours were very helpful to us in finalizing our design. No Amish craftsmen here, but things are shaping up nicely. Now, if the weather would cooperate so they can finish! I’m looking forward to hearing more about your root cellar, even as it’s being built. I hope to one day build my own, so every step of your process is of interest to me. As someone else who has stacks of things that shouldn’t be seen by neighbors, I completely agree with storing more than just fruits and veggies down there. If one can build such a place on one’s own land, then it should serve as refuge, storage space and whatever else you might want it to serve as. I’m famous for having back up plans for my backup plans, so I’m excited to see I’m not alone. I was at the hole taking more pictures today. The pallets of cinder block and sand, piles of gravel, and coils of drainage tube are just waiting for enough days of nice weather to get them in. The first set of pictures will be along soon. You can create a make-shift root cellar in a basement that is mostly underground. I did this with some success a few years back. So long as it is well insulated (from the inside) and ventilated to the outside you should get good results. I am interested in all these options too. I want to later include some info on buried trash can storage places and so on. Basements aren’t the standard around here. We don’t have one. In fact, if I am to believe what other folks have told me, there is a cistern buried under the newest part of the house. I have no idea how to access it, though. We need to look into that. Thanks for mentioning what you did in your basement. Eventually, I want to cover other possibilities like buried trash can storage. If you plan to evacuate, you� re better off in a hotel or the home of a friend out of the hurricane zone than you are in a shelter. Fortunately, we don’t live in a hurricane zone, but we do have plenty of tornadoes where we are. We were mostly interested in a safe place to dash in a hurry during high winds. I can imagine that being below ground in a storm surge area would be a bad idea. Thanks for mentioning that. A very good blog post. I always mention about the increase in the purchase of cheap, intensively farmed poultry. Poultry farmed in closed buildings. 14 birds reared in an area of 1 square metre. Each bird pecking at each other, at each others urine and faeces, causing infection. That is not to say that free range, organically raised poultry are free from disease, far from it. Free range states that chickens have access to the outside, not necessarily that they take that option! Even if they reach outside, they peck at soil and faeces, again causing infection. We are big proponents of raising your own meat for the reasons you mentioned and others. One of the most disturbing things I found about factory farmed meat was how often the drumsticks were broken. That means one of two things- either the birds were gaining weight at such an unnatural rate that they could not support themselves and their own bones broke OR the handling of the animals was that inhumane. I don’t like either choice. Beyond that, the manure from a small flock is valuable for gardening. Manure from 50,000 birds is a health hazard. I live in an area with multiple tornadoes every year. i do not have the money for a root cellar but is it possible to reinforce a garage with cement blocks or something to withstand a large tree falling on it. My house is not at all sturdy.